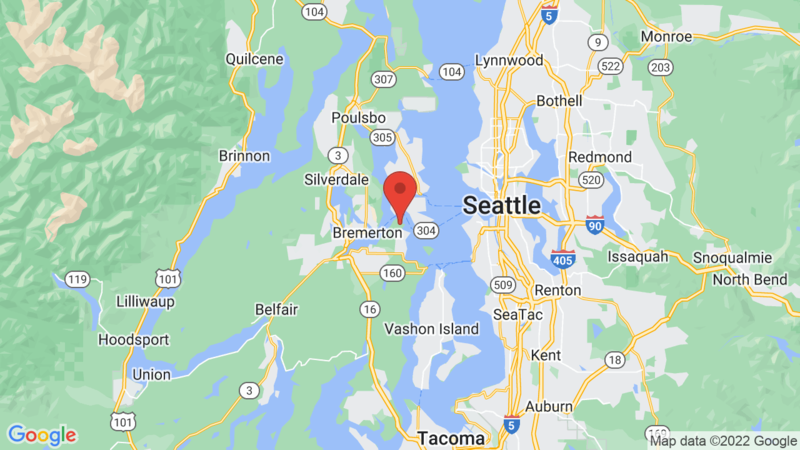 Manchester State Park State Park has 53 campsites (15 with electric hookups) and is located on the shoreline of Rich Passage (Kitsap Peninsula) in the beautiful Puget Sound. Hiker/biker and group campsites are also available. Campsites can accommodate tents, trailers and RVs. Each site also has a table, fire ring and grate. Campground amenities include drinking water, flush toilets, hot showers ($) and a dump station. There’s also as picnic area, sports field, playground, volleyball court and boat ramp. Outdoor recreation includes visiting the various military historic structures including the ‘torpedo warehouse’. Other activities include hiking, biking, picnicking, boating, canoeing, kayaking, fishing, scuba diving and wildlife viewing. You can also enjoy softball, volleyball, horseshoes, crabbing, swimming and exploring the nearby historic sites. You may also like Illahee State Park. Visted Manchester State Park WA Campground lately? We'd love to hear about your adventure. Did you find us useful? Did we forget something? 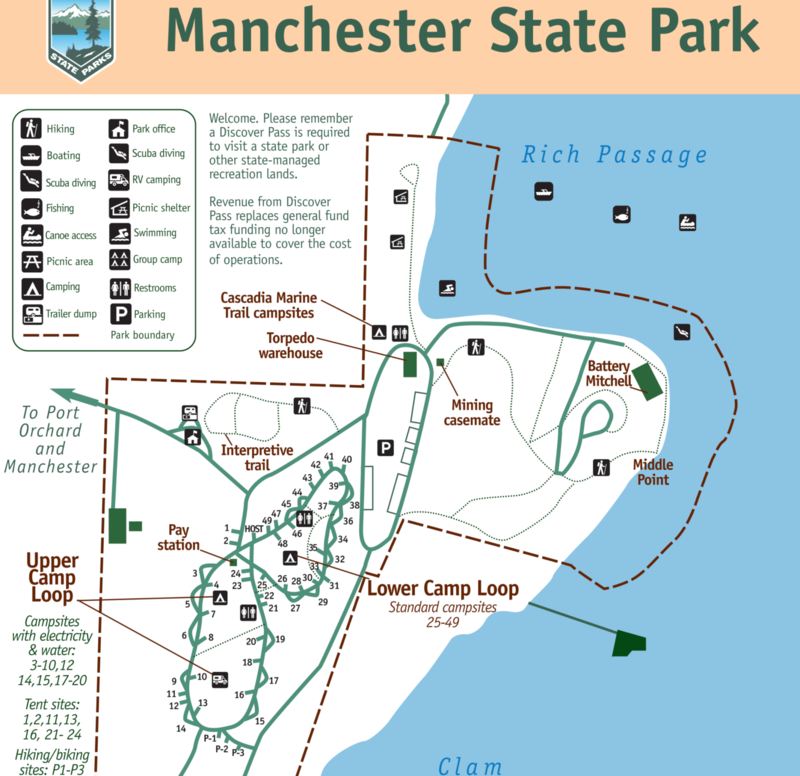 Anything our community should know before heading out to Manchester State Park WA?